Wednesday morning the journey begins. The whole team, except Martine who will be flying directly from Sweden, meet up in Oslo and fly to Berlin together. We will be in Brandenburg quite early and will have plenty of time to settle in. Thursday the play begins, and the first discipline will be 14-1, followed by 10-ball, 8-ball and finally 9-ball. Us three girls play all disciplines, the guys play at least three and wheelchair also play three. New of the year is that Eurosport 2 will broadcast live from the semifinals and finals. This is a big step in the right direction, just to bad that they will only show the mens event. 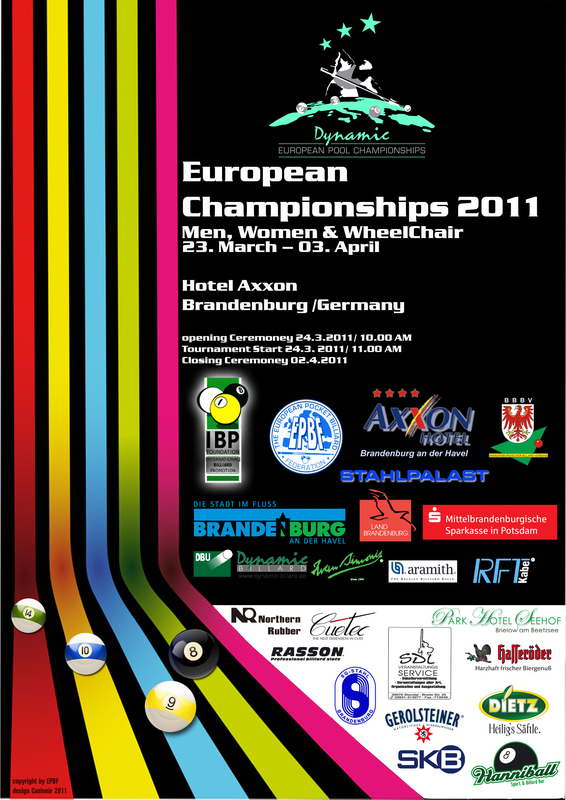 Offcourse you have the livestream and livescore at all times and the EPBF have guaranteed livestream on 20 tables for €5 a day or €20 for the championship. You will be watching a lot of good matches and good players:)You can find all information, draws and results at http://www.epconline.eu. Today I will pack most of my bags and tonight I will have a PAT training session with Olav Skrudland, one of the junior players in my club. My new cue is working great, I have changed the weight bolt to make the differences from my old one as small as possible. I also put a Sniper tip on it, and now it feels like I have played with it forever. I can not wait to play on Thursday!! !